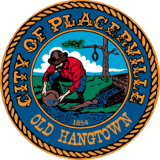 Placerville prides itself on the quality and diversity of educational opportunities provided to the community. This dedication to excellence is just one of the many features that makes the city one of the most "livable" places in our area. With fifteen school districts serving over 29,000 students in El Dorado County, twelve small to moderate sized K-8 districts feed into the El Dorado Union High School District. Many families move to this region because there are healthy influences for youth in a semi-rural area with an emphasis of good schools providing a quality education for our future generations. Students in the City of Placerville and El Dorado County have had a higher total score than the statewide and national average for all grade levels tested. Office of Education to provide continuous training to teachers on effective teaching methods, state curricula, and to develop programs that fit students with special needs. Other programs include an after school childcare/enrichment program serving 23 school sites, providing enriching activities, homework time, and recreation. Coordinated efforts also address drug education pro-actively and provide a safety net for youths at risk. In 2015, Placerville's High School Graduation rate was 9% higher then Califonia's state average and 5% higher than the national average. The University of California in Davis; California State University, Sacramento; Cosumnes River Community College, Placerville; and Lake Tahoe Community College provide higher education services to El Dorado County. In addition, there are a number of private and public universities that operate campuses in the Sacramento area. Each institution has a particular area of expertise and serves a niche in the marketplace. In combination, they provide a wide range of training to support the skill levels of the workforce of El Dorado County and the Greater Sacramento Area.